A new version of the Amatino API is now live around the world. 0.0.9 is substantially backwards compatible with 0.0.8, but you should not rely on backwards compatibility during the 0.0.X series of releases. Performance retrieval incomes key changed to income, as per the relevant documentation. 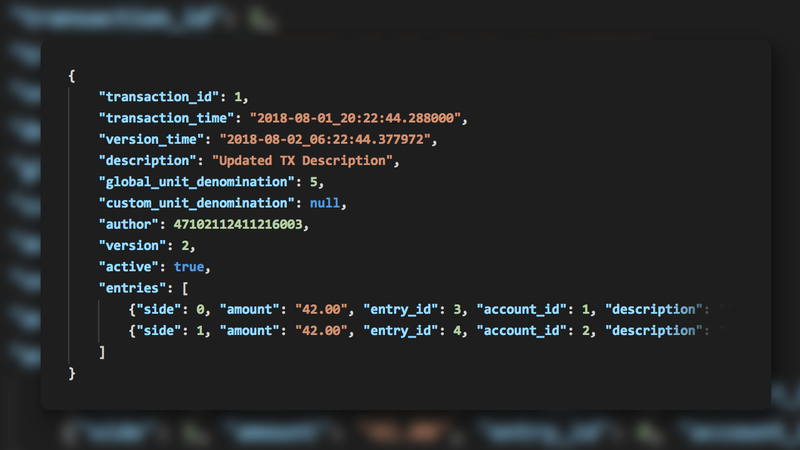 Attempts to create Transactions that include Entry’s with negative amounts will now yield 400 errors, instead of 500s. A new version of the Amatino API has been deployed to all regions. 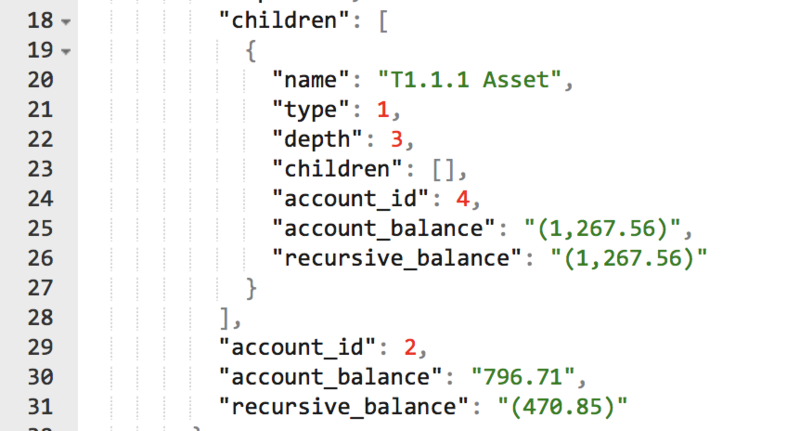 0.0.7 fixes a single bug, wherein the Account update requests yielded a bunch of gibberish rather than the updated Account object. A new version of the Amatino API has been deployed to all regions. 0.0.6 fixes a single bug, wherein the JSON result of a Transaction update was corrupted, and is otherwise backward compatible with 0.0.5. A new version of the Amatino API has been deployed to all regions. 0.0.5 contains breaking changes to the Ledger object, and is not backward compatible with 0.0.4. All the above changes also apply identically to the RecursiveLedger object. The Amatino API obeys the Semantic Versioning convention: Any version before 1.0.0 should be considered unstable, and breaking changes may occur at any time. Even so, I don’t want to cause breaking changes unnecessarily, and don’t take this lightly. These changes are aimed at making Ledger objects more useful in real world applications. They are the result of experimentation during development of the upcoming Amatino Swift v0.0.5. Position & Performance were not the features I expected to be working on this week. In fact, I had not ever thought of building them at all. Last weekend, I posted Amatino to HackerNews. Lots of great feedback flowed in. Well no, it can’t, I answered. I started to type a response about how a balance sheet is too domain-specific, not a generic enough construct, and that it could be constructed in application logic out of the base components Amatino provides. Then it hit me that I was very wrong. Abstract it back far enough, and a balance sheet is a snapshot of the position of an entity in time. We call it various names and format it in various ways, but it is at its core a very simple way of observing asset, liability, and equity accounts. The same appears to hold true for income statements. They are, in their most generalised form, a measurement of the performance of an entity over a period of time. Thought of in this way, balance sheets and income statements become generic objects. They are fully compatible with Amatino’s mission as a provider of generic, jurisdiction-agnostic functions for manipulating financial data. Armed with this new thinking, I set out to add in-built capability to produce Position and Performance objects, which may be extended by an application to produce balance sheets and income statements. Creating these objects was, fortunately, quite painless. Most of the machinery used to build them is repurposed from the Tree production line. In particular, the ability to generate a Position or Performance in any denominating unit is lifted straight from the code that builds Trees. Trees, Positions, and Performances are by far the most complex objects Amatino can synthesise. The algorithms that compute them make my head spin. That’s a roundabout way of saying: There will be bugs. 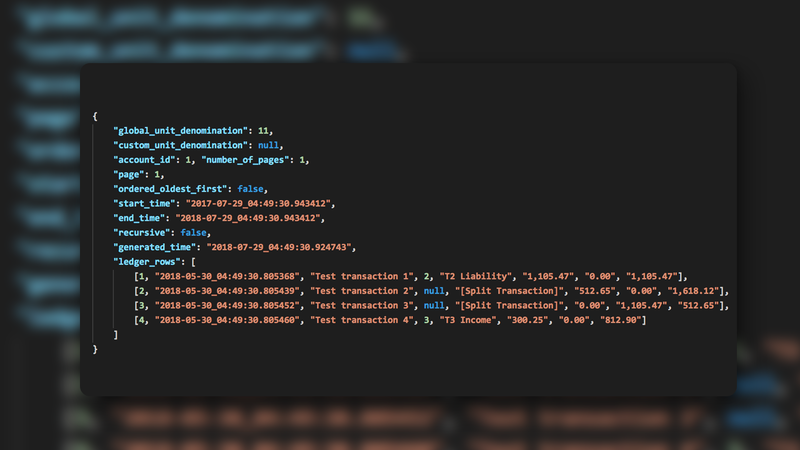 Positions and Performances have been integrated into the API unit-testing suite at a shallow level. It will take time to build more comprehensive testing. More testing is most especially required around the production of Positions and Performances in arbitrary denominations featuring heterogeneous underlying native units. The most important takeaway from all this is: Thank you for your feedback. By telling me what you want, you can shape Amatino’s development.